Check our Puppy page to see our upcoming litters and available pups and dogs! 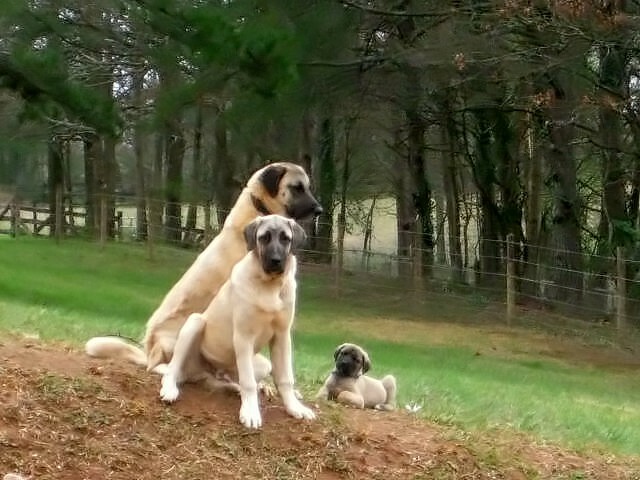 Group: Guardian Dogs (United Kennel Club). Color: Cream to light tan to gray in a sable pattern with a black mask. Coat: Short double coat, neither wavy nor fluffy. Height: 28 to 30 inches for females and 30 to 32 inches for males. Weight: 90 to 110 pounds for females and 110 to 145 pounds for males.